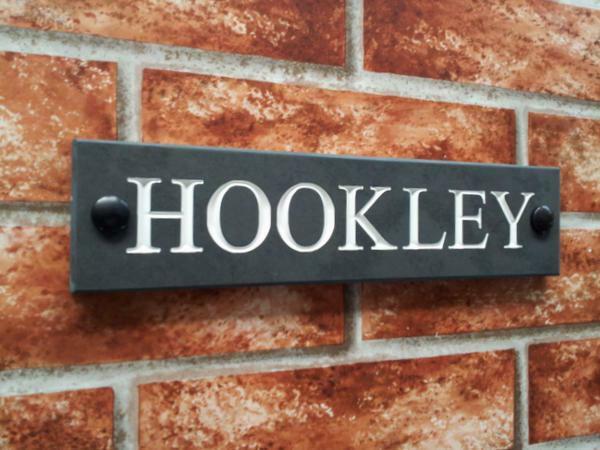 Solid slate house name sign / address plaque suitable for short house names or short address lines (max 12 characters including spaces). 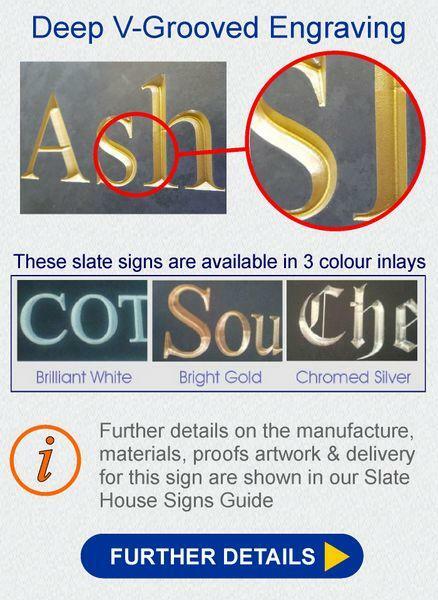 We had a preview of the sign which we approved before it was made. The item was packaged extremely well indeed. We chose the Stonehenge font and we are very pleased with the result. 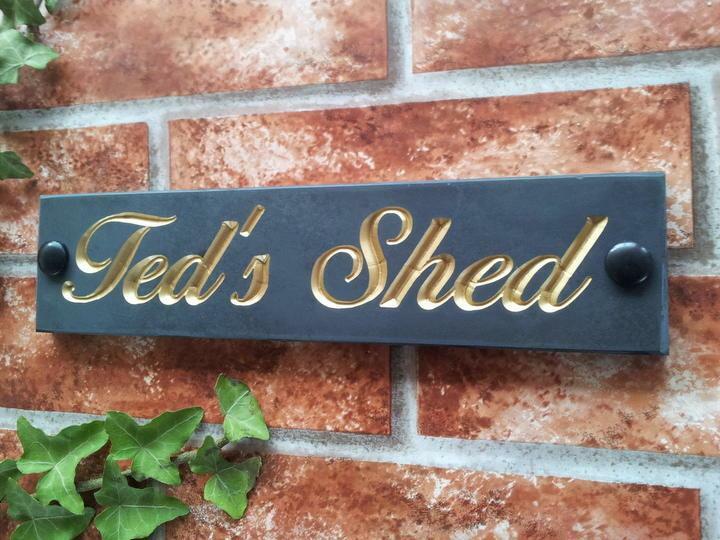 It really looks beautiful and I would thoroughly recommend this company and the bespoke service that they provide. Thank you so much for the house sign "Bodriggy" it has had many compliments! 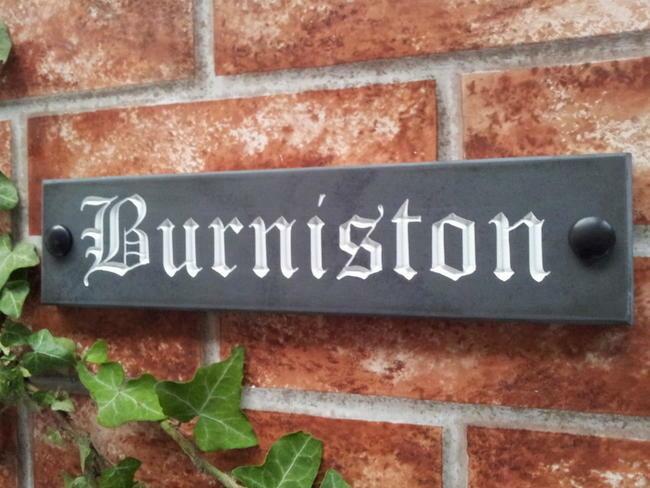 Just a note to say that the sign arrived safe and sound yesterday and it looks great. Many thanks indeed! 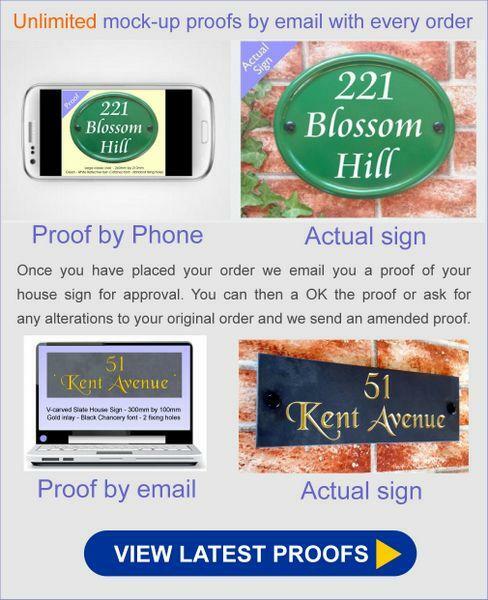 Order delivered very quickly to replace rather worn existing sign in wood; product looks really good in situ and the on-line ordering arrangements worked well.